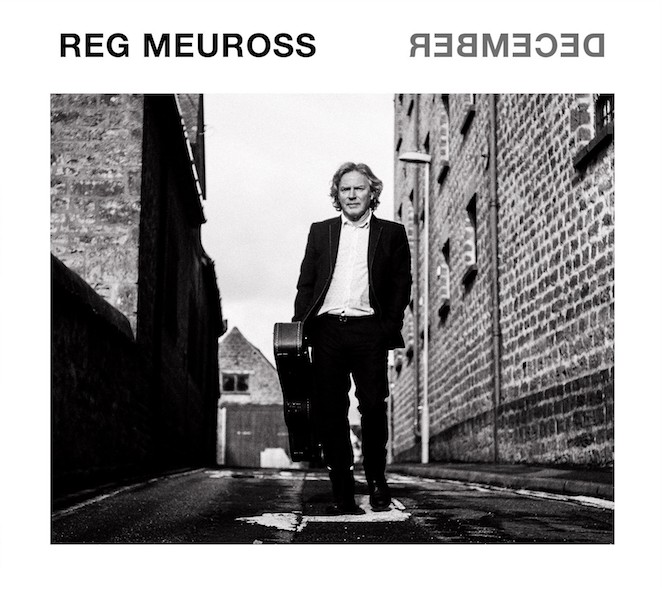 Saturday 2 April, early days still in the December solo album tour, singer-songwriter Reg Meuross kicked off this Bristol gig with What Would William Morris Say?, a song from previous album England Green & England Grey. It’s a strong opener, and not for the first time the obvious answer came into my head, that Morris, a passionate believer in good social values and in usefulness and beauty in all man made things, would have been very happy sitting with us in that packed Folk House listening to songs from this extraordinary songwriter and observer of life, people and the world. Reg’s songs, even the most powerful and political, all have a beauty and authenticity that leads us gently, and we follow willingly and trustingly, sometimes into very dark places. 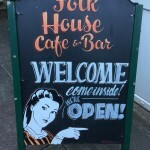 chose from, that he is able instinctively to craft each gig to suit the venue and the audience present. Many of these December solo gigs start with a set of songs from his back catalogue: songs rich in stories and characters from history and from today. This evening the characters brought into the room included (as well as William Morris) the late great politician Tony Benn, suffragette Emily Davison, and one of the shell shocked soldiers shot for ‘treason’ in WW1, Harry Farr. Next, the lyrics and Blakean references in one of my all time favourites from the Meuross collection, My Jerusalem, sent shivers through the Folk House air ‘They talk of dreams and pastures new, But power’s dark breath corrupts their lungs’, but nothing could have prepared us for the impact of a new song… brand new and not even on the new album… Refugee. Reg, along with Jess Vincent and other songwriters, musicians and commentators, has been involved in the recent Concert To Calais tour to help people in the Calais camp, and he was moved by this as well as by talking to and hearing the terrifying stories about the journey of a young brave Syrian man (known in the UK as Jack Ar) who has fled the horrors of war, to write Refugee. This was the first ever live performance of the song, and the words and melody went deep. We are not talking here about a historical song where we can complacently look back and think ‘oh wasn’t that terrible’. This complex and shocking war and destruction is ravaging the lives of so many thousands of men women and children and it’s happening now. The chorus ‘Refugee, refugee now he’s just a refugee’ reminding us we should not use labels. These are people, we are all people. I think that Reg was aiming to lift us by playing Man In The Moon, and there is a lightness in the rhythm and melody of this oft requested song, but my heart was still with the Refugee, and the song led me to the thought of us all looking at the same moon, but so many people not being allowed the hopes and freedom that we can take so for granted ‘got no choice, when you’re a refugee’. I think I was still in that space throughout the next favourite, My Name Is London Town, and until Reg brought us back to Bristol with Redcliffe Boy. This is one of those where he has researched thoroughly into official records rather than accepting romanticised folklore, and this song tells a truer story (but still compelling) of the life and death of the poet Thomas Chatterton. Reg had spoken earlier in the day to Laura Rawlings on BBC Radio Bristol, explaining he has always had a natural curiosity (his mother told him he always asked the same question three times) and likes to unearth truth and debunk myths, not to spoil romantic notions but in a quest for authenticity in storytelling. After a well earned interval Reg returned to the stage with songs from the new album December, and he delivered all 10 of these heart achingly beautiful songs with no talking in between. In contrast to the stories and audience engagement between songs in the first set, Reg now engaged in a very different way. “All around me quiet except the sound of my heart breaking” from When You Needed Me just about sums it up. These are songs that are new (written and recorded in just two days in December 2015) and yet I feel I’ve known them my whole life, they’ve been hiding somewhere in my bones, under my skin and in every tear I’ve ever shed. They are songs of heartbreak, and Reg delivered each one beautifully. I was trying to make notes, but really all I wanted to do was sit and indulge fully, sinking into the beauty and the sadness of these songs. Even the Christmas song holds heartbreak and homelessness. When the tenth song was sung, after the spellbound silence of the audience sitting like children waiting bated breath for each new story, the radiant warmth of their loud applause and cheering was an extraordinary thing to experience. I have been working with Reg for 3 years now, and I thought I knew his work pretty well.. but there is real magic in this latest and very reflective album, and the way these December solo gigs bring new and old together all the love invested in his newly restored 1944 Martin Guitar, the characters, heroes (past and present) and storytelling of his past 10 albums..
Great reviews are coming out for this album, and I can completely understand why the comparisons are too: Bob Dylan, Leonard Cohen, Paulo Nutini, Cat Stevens, Tom Paxton, Paul Simons, Al Stewart, Jackson C Franks, REM. 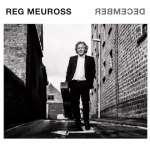 I hope this will lead many more people to explore the wonderful wealth of Reg Meuross songs.. and that the comparisons will one day give way to recognition to Reg Meuross for being Reg Meuross. No one does it better.